I am a Mathematics Teacher. I would like to teach students in an easier way so that they will understand maths more simply. I always encourage them to understand and learn Mathematics rather by mere mugging up of portions. If you understand Mathematics it would be easier. But if you are just studying Mathematics it will be difficult. Think and concentrate well when you learn Mathematics. Simply listening will not help you in studying Mathematics. The more you think the more you learn!!! That is the basic fact behind Mathematics learning. Anybody can solve the problems easily if you understand the core things in a chapter. For that i will help you!!! 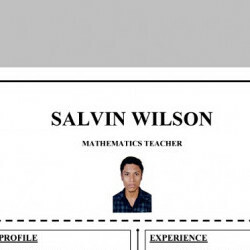 Mail me at salvinwilson at the rate of rediffmail dot com.